Choir Preludes begin at 9:30 p.m.
We are announcing a important change to our schedule of Christmas services. For the first time, our traditional Midnight Mass will be replaced by a 10 p.m. service. As in the past, the choir will begin singing one half hour before the Mass on Christmas Eve. 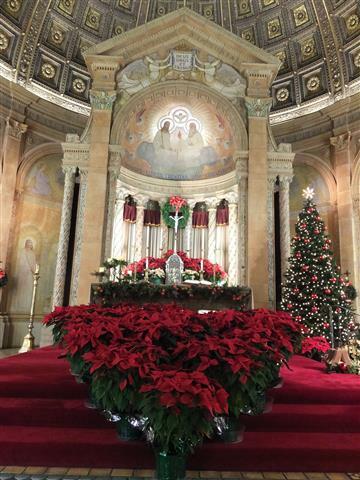 Mass on Christmas Day will be at 10:00 a.m.